Tic Tac Toe Records is very happy to bring yet another new signing to the roster of great artists, this time no less than Mathias Schaffhäuser from Cologne Germany. 9 albums, more than 40 12 and more than 50 remixes. Been working with more or less every top artist and top label in the business since 1994. In 2008 his label WARE released its 10-year anniversary release and to date they have released more than 85 releases. A track that keeps building and building for 10 minutes. A great groove, some weird noises and then some hard hitting stabs to round it all off. This one is a sure floor mover! Where the title track was more focused on the driving dance floor, this track is kept a bit on the laid back kind of minimal side of things. Subtle changes throughout the track, playing around and a moody feeling all over makes this a great one for the Sundays. 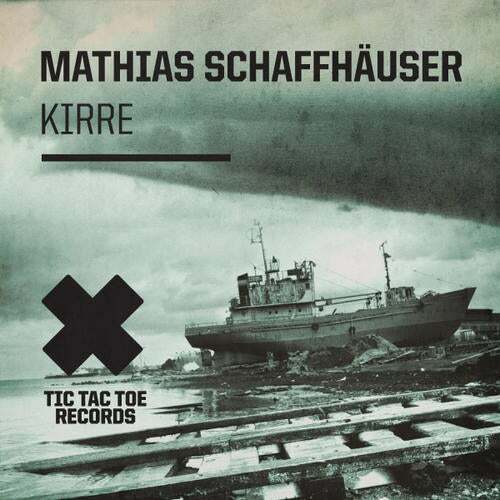 Mathias (and we) thought it would be funny to include the first version of Kirre. It is of course build up much like the final version, but the big difference is the change of the stab, which in this first version is way more edgy and electronic.